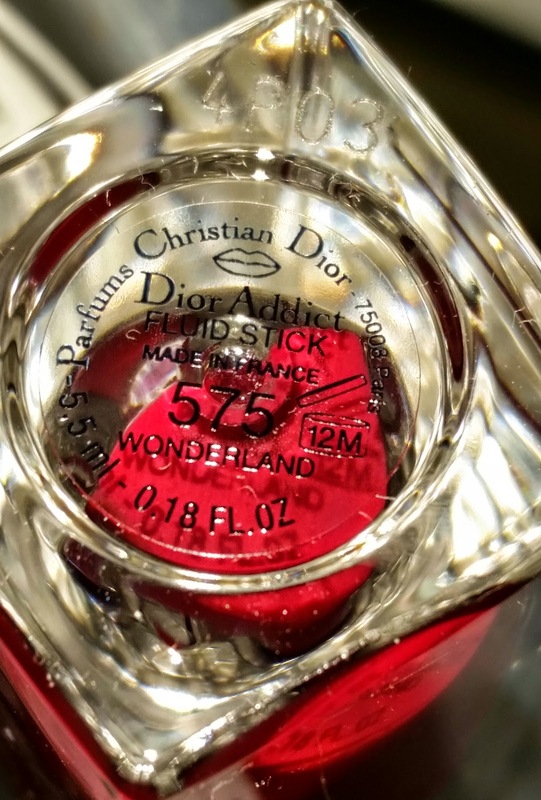 The Dior Addict Fluid Stick in 575 Wonderland is a bright reddish coral lipgloss. 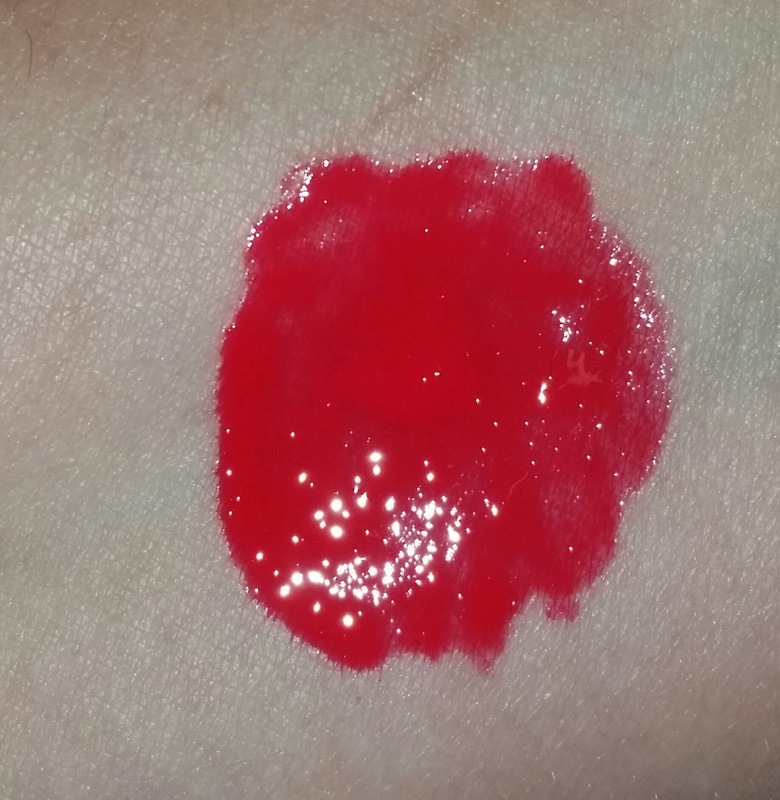 It has the pigmentation of a lipstick but the shine of a gloss. It is easy to apply and is opaque with one application. The formula feels and applies rather wet but dries unevenly on the lips with some areas maintaining a glossy finish while other areas dried down to a muted shade. When reapplied to even out the application it has a tendency to migrate onto the teeth which is very unattractive and aggravating. The Fluid Sticks might have performed better if the formula were more of a jelly consistency and less of a wet liquid. Maybe then the Fluid Sticks would have worn more evenly and maintained an all-over glossy color consistency. 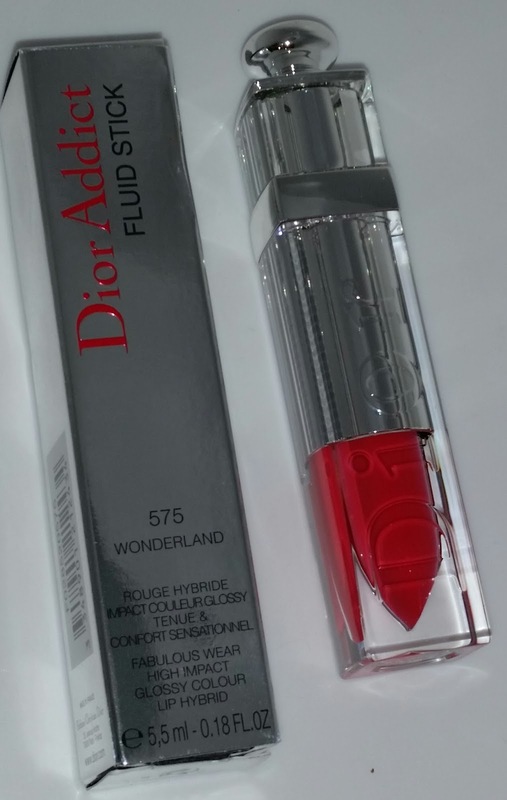 The Dior Addict Fluid Sticks currently retail for $35.00 USD and contain .18 fl oz of product.